As part of its new exhibition on the Cairo Genizah, the Cambridge University Library has put together a nice video on the process of conserving this extensive collection of Medieval Hebraica. More info here. Thanks to Juan Hernandez, news has reached the interwebs that Mike Holmes is retiring from his position at Bethel University. Mike’s work hardly needs an introduction at this blog so I will instead say how much I have appreciated the time Mike has given to me over the years. I remember him sitting with me for about an hour when I was in grad school to talk about the divorce passages which I was working on for my masters thesis (see photo). Ever since, he has generously given his time to talk to and encourage me along the way. Last year at SBL, Tommy Wasserman and I had a great lunch with Mike and got to hear the story of how he went from rural farm life to accomplished academic life. It was quite a story. Many congrats, Mike, on your well-deserved retirement. I hope this does not mean we will be seeing less of you in the years to come. Don’t miss the “be like Mike” video shared by Juan Hernandez (HT: Chris Keith). Discussing the divorce passages with ECM in hand. I’m happy to present another installment of our ETC interview series. Today’s interview is with Thomas W. Hudgins who is Assistant Professor of Biblical and Theological Studies at Capital Seminary and Graduate School. 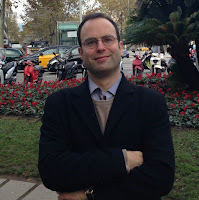 I first spoke with Thomas a little over a year go when he had just completed his doctoral thesis on the Complutensian polyglot and I thought readers here would be interested in that work. His most recent publication is a Festschrift for David Alan Black which includes a number of essays on text criticism from our own Tommy Wasserman and Maurice Robinson and others. You can learn more about Thomas at his blog or read his list of publications. PG: I understand you have two doctorates, the first one in education (EdD) and the second in New Testament (PhD). Most people who teach New Testament in U.S. seminaries only have the second, so what led you to do both? TH: Explaining the PhD at the Complutense is a little easier since the PhD is the norm. I love the New Testament and wanted to study it for the rest of my life and help others do so as well. But why an EdD and a PhD? The easy answer is I am a glutton for punishment—or so people often say when they hear I did two. But there’s actually a better answer. An opportunity arose for me to enter the EdD program at Southeastern Baptist Theological Seminary and at the same time assist a seminary start-up in Central America. I had taken plenty of classes on the biblical languages, book studies (e.g., Isaiah, Mark), and theology, but despite having an undergrad degree in biblical studies and an MDiv, I had never taken a single course on education (and homiletics courses don’t count). That’s pretty remarkable if you ask me, especially considering the church is in part an educational institution (“teaching them...” Matt. 28:20). I don’t know how many hours the average PhD program (for biblical studies) requires of instruction in the field of education, but I know it’s not a lot. The opportunity to study in the education department at Southeastern really changed my life—personally and professionally. It was the first time I was ever challenged to think about education. Even though I entered the Doctor of Education program, I was able to work with a faculty member outside of the department. I knew I wanted to do something different from what you would generally find with an EdD dissertation. I wanted to study the New Testament and education. So, I applied to study with David Alan Black (yes, Dave has a separate application to work with him). Working with him was one of the best experiences of my life. A few months after I started teaching New Testament and Greek full-time at Capital Seminary, another opportunity arose for me to study in the PhD program at the Complutense University in Madrid, Spain and work with another world-renowned New Testament scholar, Antonio Piñero, on a topic that few had engaged in recent years (even though the subject’s quincentennial was rapidly approaching). Who could resist, right? 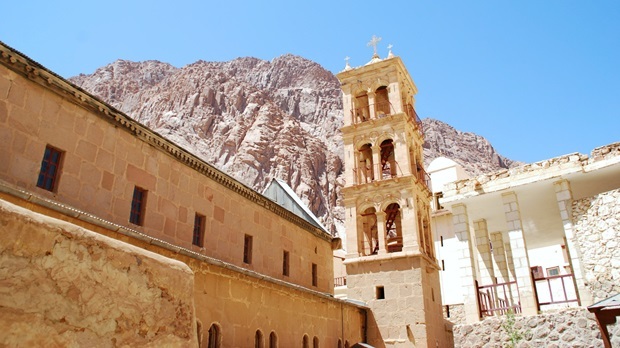 Christianity Today reports of an attempted attack on the monastery of St. Catherine on Tuesday. ISIS has reportedly claimed responsibility. St. Catherine’s is, of course, the original home of Codex Sinaiticus and still houses a number of leaves. Its library is one of the richest in the world in terms of ancient Christian manuscripts. If anyone has any additional information on the state of the monastery, please post it in the comments. And do pray for the safety of the monks and others who live near or frequent the site. 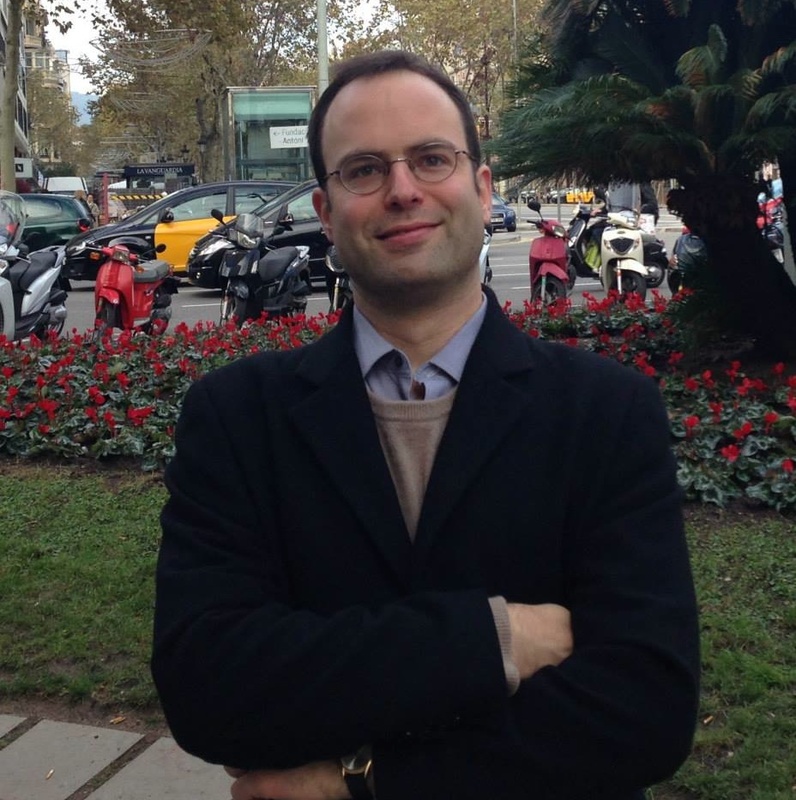 Paolo Trovato sends word about his 3rd summer school in textual criticism. I attended part of last year’s school and can say it was a great experience. One of my favorite aspects is that it attracts students who are working on a range of textual traditions. 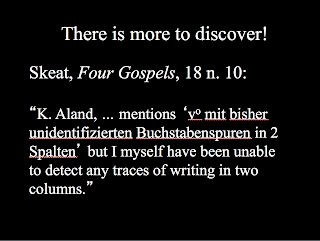 I find that I learn the most about textual criticism from those not working on NTTC. So do not be put off by lectures on Catullus and Dante; NT students will be most welcome. The Department of Humanities at the University of Ferrara will offer an intensive seven-day summer school in Textual Criticism. The course is designed for both graduate and PhD students (max. 20 people) from diverse disciplines who would like to improve their knowledge in the field of Textual Criticism and discuss their research topics with instructors and colleagues. An introduction to current theories as well as the presentation of individual research subjects will be covered in the first four days. The final days will be spent delving more deeply into particular aspects of Textual Criticism, both in modern and classical languages, with particular attention to more recent developments, and discussing individual research. 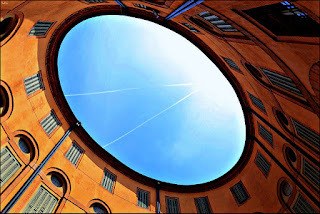 On Saturday and some weekday afternoons free guided visits and tours in medieval and Renaissance Ferrara are scheduled. Among the programme instructors you will find Dario Bullitta (University of Venice), Dàniel Kiss (Universitat de Barcelona), Nicola Morato (Université de Liège), Roberto Rosselli Del Turco (Università di Pisa), Elisabetta Tonello (University e.Campus) Paolo Trovato (Università di Ferrara), and Giorgio Ziffer (Università di Udine). One tip for those attending: book a room with A/C. You will thank me later. The following is another guest post from Elijah Hixson. He is currently writing a PhD thesis at the University of Edinburgh on the NT purple codices about which Jerome famously said, “parchmens are dyed purple, gold is melted into lettering, manuscripts are decked with jewels, while Christ lies at the door naked and dying” (Epist. 22.32). The Bibliothèque nationale de France have just made some very nice, high-quality images of (most of) Codex Sinopensis available! The manuscript is gorgeous and worth a look. Codex Sinopensis (O 023), f. 8v. Codex Sinopensis (Paris, BnF supp. gr. 1286; O 023) is a 6th-century manuscript of Matthew’s Gospel. It is one of the purple codices—deluxe manuscripts written in gold and silver inks on parchment that has been dyed purple (on Codex Rossanensis, one of the other 6th-century purple codices, see here). Codex Sinopensis is especially magnificent, because it was written entirely in gold ink, and there are five extant miniatures painted right into the pages of the Gospel. These are some of the earliest examples of Christian art in manuscripts. Art historians know this manuscript well, and its well-trained scribe was probably in his or her prime. There are very few mistakes and corrections in this manuscript, compared to its two siblings. 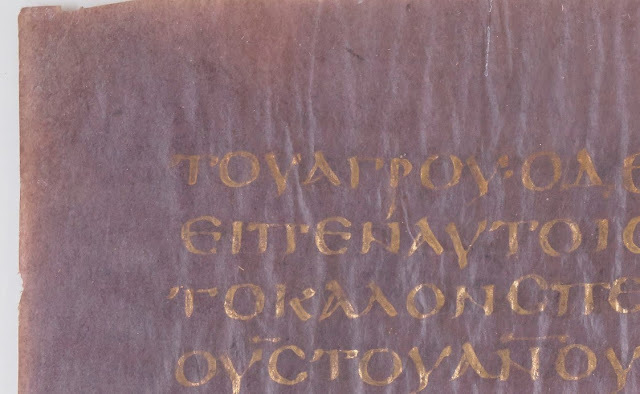 Its text is not especially exciting; Codex Sinopensis has an early form of what will become the Byzantine text. What is more exciting than its text is its textual relationship with two other purple codices, N 042 and Σ 042. These three manuscripts were all copied from the same exemplar. Back in 2015 at the SBL Annual Meeting in Atlanta, I presented a paper on Codex Sinopensis and its close relationship with its two siblings as a way to test the singular readings method of determining scribal habits (summarised here). If my quick count of the newly available images is correct, the new images include 41 of the 43 folios at the BnF, but they also include images of the lost leaf from Ukraine. Shortly after Henri Omont published the editio princeps of the 43 Paris leaves, Prof. Dmitry Aynalov sent a photograph of a 44th leaf, which was in the custody of a gymnasium (the equivalent of American high school) in Mariupol, Ukraine. The leaf has been lost since at least 1966, when Kurt Treu could only write that it was formerly in Mariupol and to my knowledge, the leaf has never resurfaced. Now, however, the BnF has digitised their black/white photograph of the lost leaf, which is grounds for rejoicing. The two pages I could not find on Gallica are folios 11 and 30, but both of those folios include miniatures, and images of the painted sides are readily available all over the internet. Realistically, that leaves 11v and 30r as the only pages of Codex Sinopensis that are still only accessible through Omont’s pseudo-facsimile in the editio princeps. Of course, Muphy’s Law would correctly predict that if one is writing a doctoral thesis on Codex Sinopensis, one would encounter a discrepancy on f. 30r, line 9 about which the editio princeps is unclear, but that is another story. The images are posted at Gallica (gallica.bnf.fr). The easiest way to find them, however, is through the links to each folio/bifolio at http://archivesetmanuscrits.bnf.fr/ark:/12148/cc24356w. having grown up in a late stage of the age of printing, we are used to carefully edited texts, and textual corruption strikes us not only as unfamiliar, but also as uncanny and somehow fundamentally wrong. But a doubt that affects the reconstruction of a passage in Catullus is no different in kind from one that affects how the same passage should be interpreted, nor from one that might affect Roman economic history in the late Republic. If textual criticism is difficult at times, that is not because it is arbitrary, nor because textual critics are incompetent, but because centuries of textual corruption have resulted in problems for some of which there is no easy solution. Faced with such difficulties, one can only make progress by strenuous and open-minded research. —Dániel Kiss from What Catullus Wrote, p. vii–viii. Foremost among this project’s shining virtues is that it brings together in one place what would otherwise require several dozens of volumes. Further, the editors’ careful and consistent treatment brings some of the older editions up to date and provides English translations where some were lacking. Also laudable is the extent to which the editorial introductions to each text provide crucial background information and evaluation; the result is much more than a simple database of texts, but rather a coherent and understandable anthology. Another strength is the inclusion of texts written in languages other than Greek. The reader will find some texts in Syriac, Coptic, and Latin. 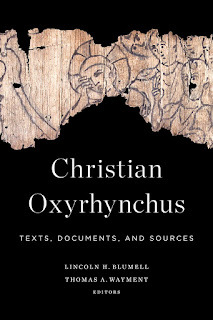 Finally, while the subject of Christian documentary papyri has received increased attention in recent years (e.g. the work of AnneMarie Luijendijk and of Blumell elsewhere), sadly it remains unfamiliar to many scholars of NT and early Christianity. The present volume is thus an ideal entry point into the fascinating world of Christian documentary texts. 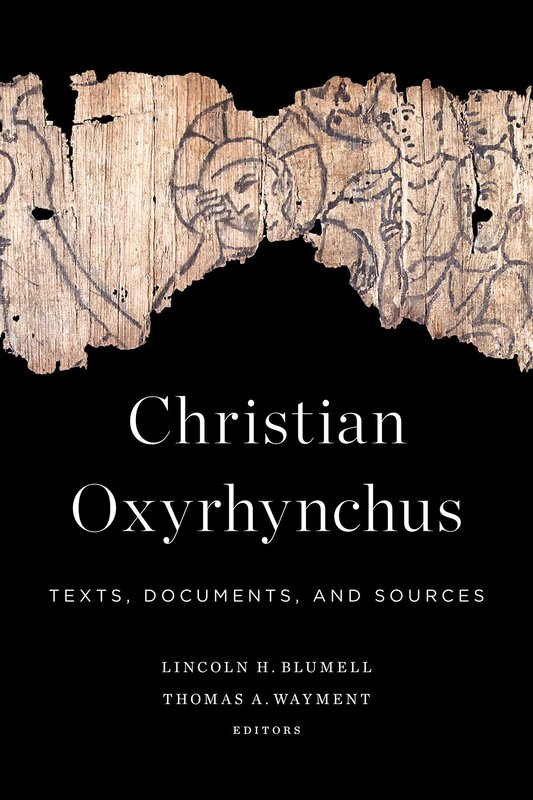 The only complaint he lodges is that the book should have included the 20 Old Testament fragments from Oxyrhynchus. The editors’ reasons for not doing so—having to do with the problem of using nomina sacra to identify them as Christian rather than Jewish—are a bit inconsistent with some of their other comments in the volume. But that’s Cole’s only criticism. It’s too bad this volume isn’t a bit more affordable. 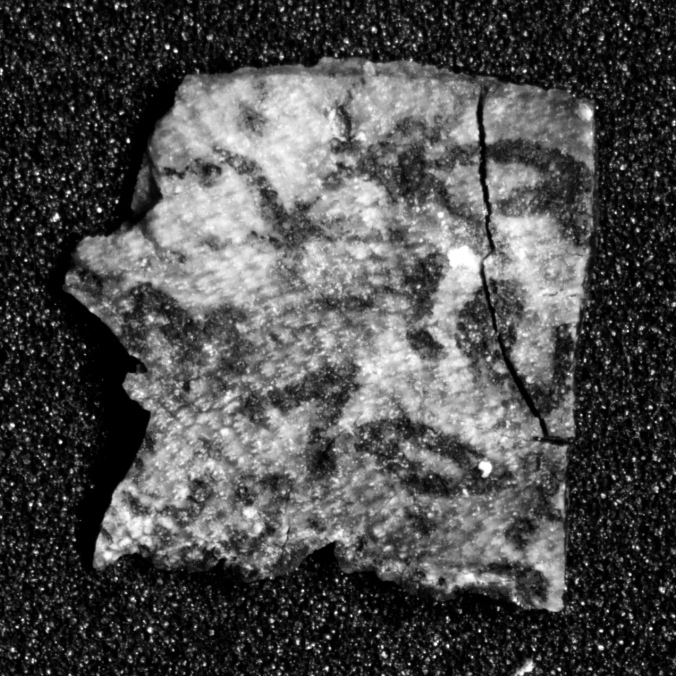 One of the 15 fragments. 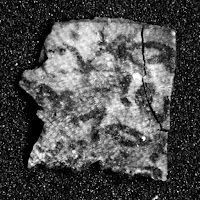 Owen Jarus, who reported extensively on the Gospel of Jesus’ Wife fragment for Live Science, has an article today about 15 new Dead Sea Scroll fragments recently sold to an undisclosed institution in the U.S. Jarus apparently has photographs of all of these sent by the seller and notes that some appear to be in Greek (see photo). It’s not certain when the 15 fragments sold through Les Enluminures will be studied and published. 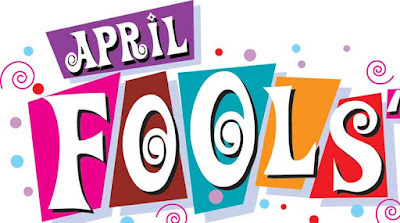 The institution in the United States that now owns those fragments has not made a public announcement about the acquisition, Hindman [the president of Les Enluminures] said. It would be good to see photos of all 15 of these if Jarus has them. You can see one more in this gallery. Full article here. 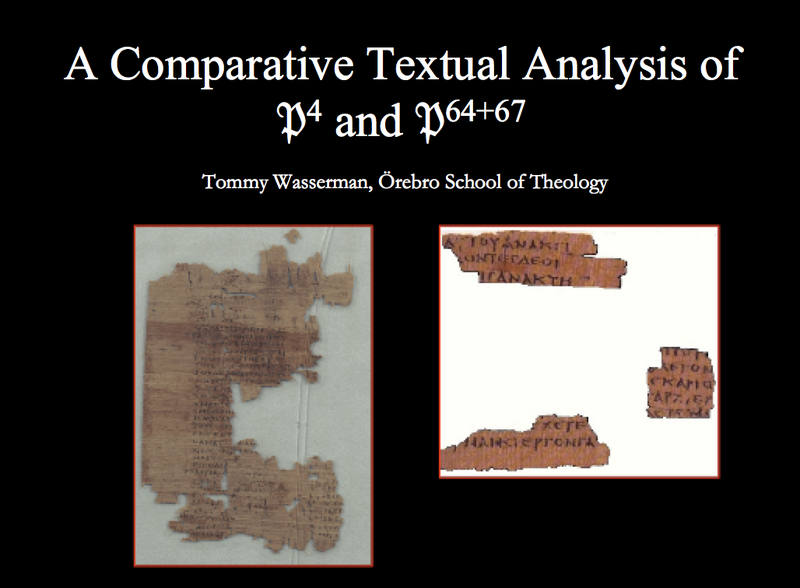 Seven years ago, I presented a paper on SBL in Atlanta (2010) on "A Comparative Textual Analysis of 𝔓4 and 𝔓64+67" which was later published in the TC Journal vol. 15 (2010). Background to the paper here. 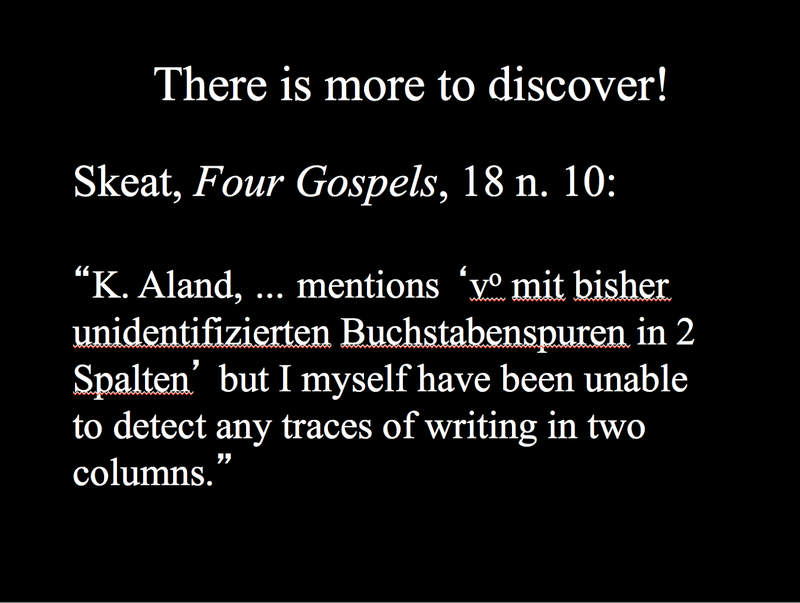 In my last couple of slides I pointed out that there is more to discover, in particular in reference to 𝔓4 = BnF Suppl. gr. 1120 ii 3 / 4. Two years later, Simon Gathercole published his study in NovT 54 (2012) on the earliest title of Matthew's Gospel which is found on the flyleaf of this MS an image of which was published for the first time. However, as I said in my paper there is yet more to discover. There are traces of letters on the flyleaf (reverse side of where the title of Matthew is found), which had been noted by T. C. Skeat and Kurt Aland but they were unable to decipher them from black and white photos. I now have access form high-resolution images from the National Library in Paris. Further, I pointed out that there are mirrored impressions on fragment B, verso because the pages had been glued together for centuries and fragment D has left impressions, but I did not work further on this, and I have had too many projects to think about it. At the last SBL in San Antonio, however, Elijah Hixon presented a wonderful paper, "Was There a Staurogram in P.Oxy. LXXI 4805 (P121)?" in which he presented a digital restoration using photo-manipulation software. This gave me the idea to try again on P4 using his software, where the first step is to create a profile by entering all the visible letters and then trying to trace the faint letters from the new high-res images (and also to mirror the impressed letters on fragment B). 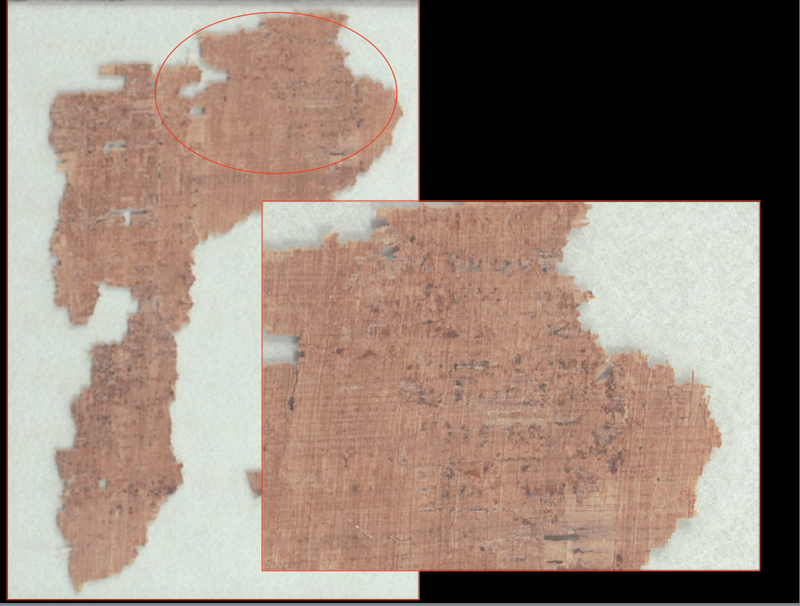 The results are amazing, and I have been able to decipher about three verses from Luke on fragment B, and Matthew (!) 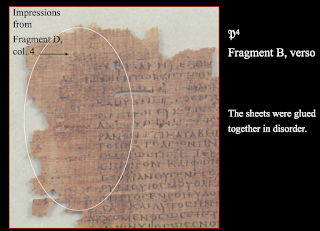 on the flyleaf – this is new evidence that 𝔓4 and 𝔓64+67 did belong to the same codex as argued most forcefully by T. C. Skeat. In the next post, I will supply transcription and comments to five textual variants.